Wally is a fun loving little bear who loves helping out in the garden. Especially if vegetables are grown there. His large nose helps sniff out when everything is ready for harvesting. He likes to play hide and seek with the sparrows in the hedgerows. If any flower heads have fallen from their stems, he likes to wear them as a hat. His favourite food is peas, especially if they are from a pod fresh from the garden. Wally is approximately 5.5” (14cm) tall, measured standing. He is one of a kind and made from green sassy fur with white sassy fur foot pads and inner ears. Wally is five way cotter pin jointed and is filled with heavy weight polyester fibre and steel shot, making him quite a heavy little bear. He has black glass eyes and a large green needle-felted nose. His face has been lightly hand shaded. 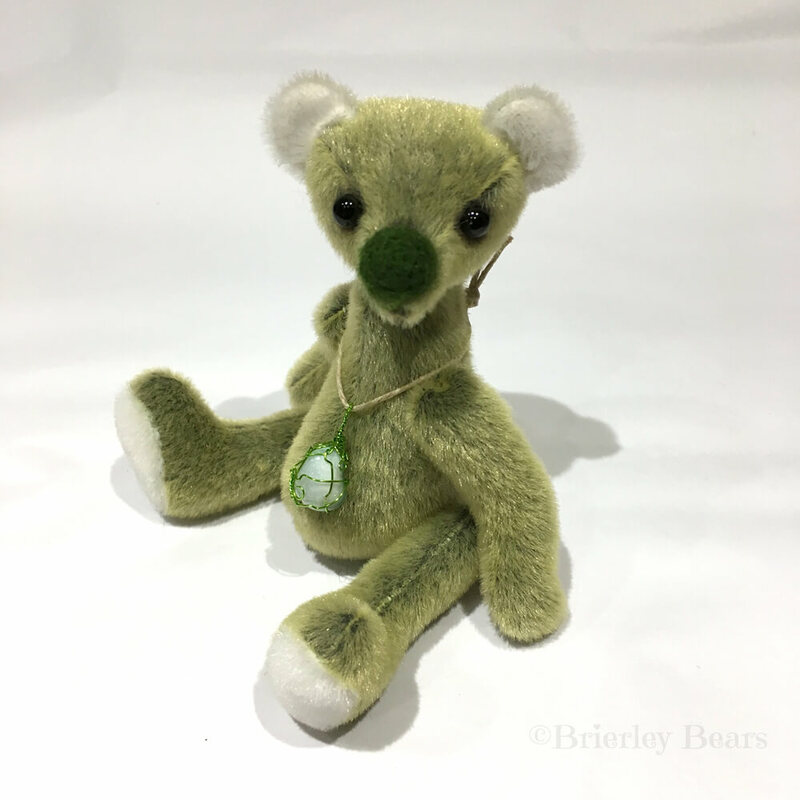 Wally is also wearing a handmade wire wrapped green calcite pendant.